We were introduced to this simple dish last summer by our friend Tracy, a fellow foodie. Last year was the first year for our garden and we planted chives. 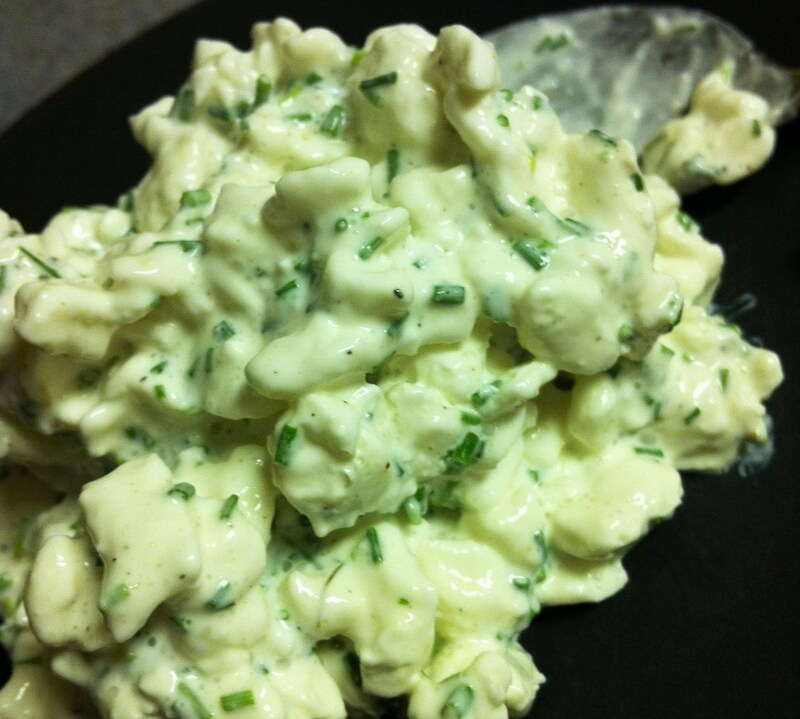 Tracy suggested cutting a handful of fresh chives, mixing them into a container of cottage cheese, and allowing it to sit in the fridge overnight. The result? Simple perfection. Not only could this dish be served as an appetizer or side dish at a fancy dinner party, but it makes the perfect eat-it-out-of the container-right-before-bed snack. Delish! Yum! Amber this site rocks, however I think that I may have gained 10 lbs just by looking at it. 🙂 I’m adding to my bookmarks, thanks! I actually wanted to make a small remark so as to say thanks to you for these fabulous tricks you are sharing at this website. My prolonged internet search has finally been compensated with sensible tips to write about with my neighbours. I ‘d declare that we site visitors actually are unquestionably blessed to live in a very good site with so many brilliant individuals with insightful basics. I feel very much lucky to have seen your site and look forward to so many more amazing moments reading here. Thanks a lot once more for all the details.